It’s wonderful to have seen so many of you at the Sunday Masses yesterday. A special thank you to the Cathsoc Freshers’ Fair teams and College Reps for having spread the word, and to all who helped with the liturgies and with the after-Mass socialising. I am sure we are all grateful too to James Stephenson, the chef who provided such a tasty lunch! 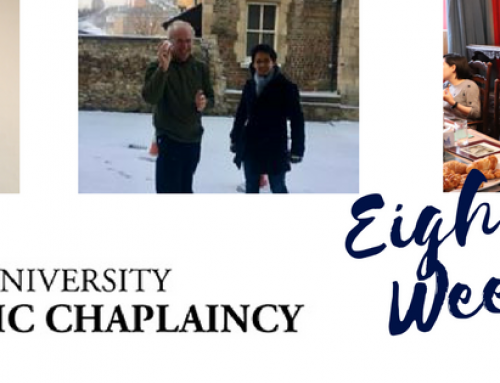 Next Sunday we will be saying goodbye to Fr Dushan after 6 years of generous service. Please do join us, if you can, for the 11am Mass, at which Fr Dushan will preside, and for the Free Lunch afterwards. The feast of Bl John Henry Newman. For a little spiritual reading you might like to read Pope Benedict XVI’s Newman Beatification homily. Have a Happy Feast, and a blessed week! Come share dinner with us at 7pm, and stay for the talk at 7:45pm which will be followed by prayer at 9:30pm. It’s going to be an interesting and engaging discussion, so invite your friends! 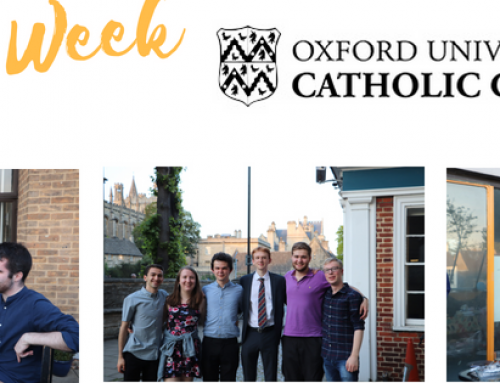 ‘Whose Life is Worth Living?’ – Oxford Students for Life will host their first event of term this Wednesday evening at 7.30 pm in Trinity College. 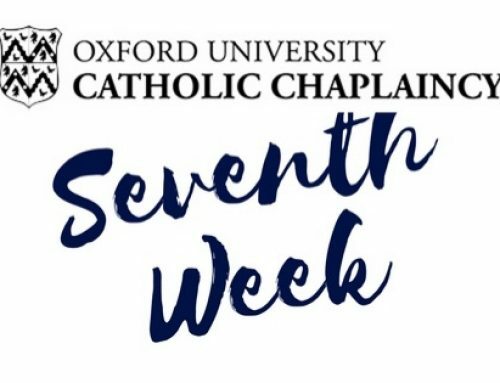 Prof Luke Gormally will be speaking on Chastity, Human Dignity and the Common Good: Anscombe and Aquinas in the Aula of Blackfriars, St Giles, Oxford (OX1 3LY). Lecture followed by a reception, and Mass at 6.15. This annual lecture is given in honour of the Catholic philsopher Elizabeth Anscombe, and is co-sponsored by the Anscombe Bioethics Centre and Blackfriars Hall. Registration is free, to sign up please click here. Holiday in the centre of Oxford on a budget. 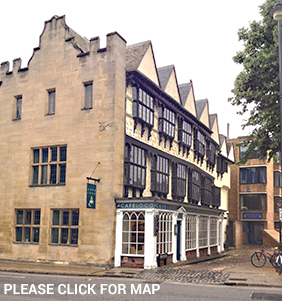 University rooms at the Oxford University Catholic Chaplaincy offer the best budget holiday accommodation in central Oxford out of term time. 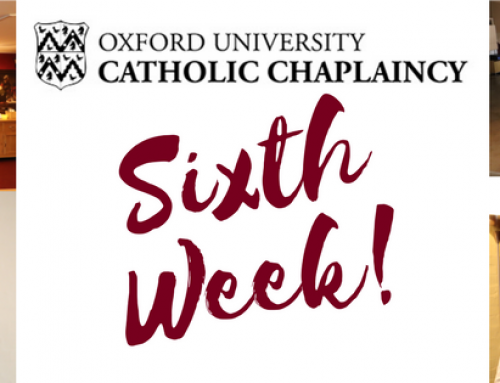 The Oxford University Catholic Chaplaincy is situated off St Aldate's in Rose Place. New Student, Don or Alumni? 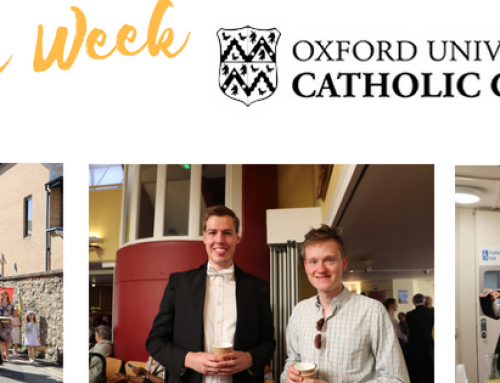 Help us support the Roman Catholic faith in this Oxford University community, including its undergraduates and graduate members but also its academics and other staff.